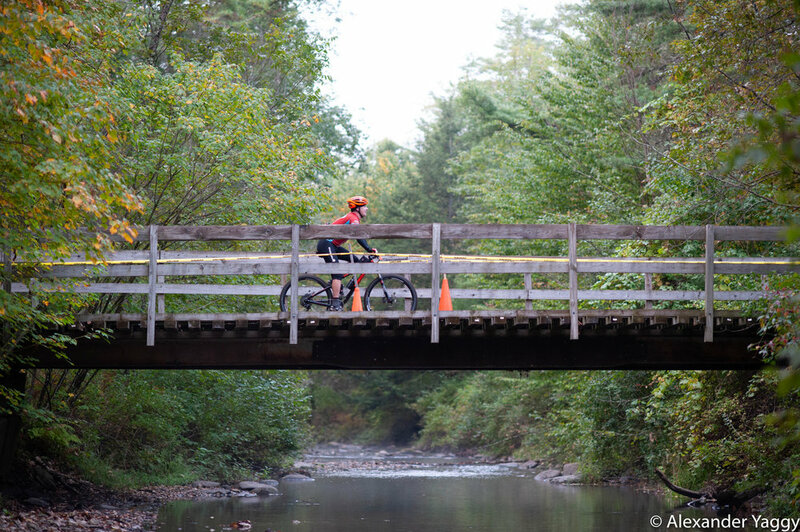 The last week of September every year means leisurely meanderings to see the leaves, quiet reading at the town bookstore - or suffering with a smile in a 50 mile bike ride through the mountains. #37 Making a strong move 12 miles in. Ten years ago this month, for those whose lives revolve around financial markets, was an absolutely abysmal period. The world as we knew it was legitimately ending. As a then employee of a Wall Street investment bank, it included nights staring at my dwindling 401k balances and wondering if I would need to raid them to pay the mortgage when my employer could shut the doors at literally any moment leaving me in a tough spot. It was terrifying as a parent to two young children, and it was salt in the wound of a very tough year. Not only was I getting wiped out financially, my brother had been killed in training accident two months short of finishing his time with the Marine Corps. Everyone was stressed and it felt like living through a historical moment was a bit of a bum deal. In this period, my friend Paul told me I had to do it. I could do it, I should do it, and I needed to do it. 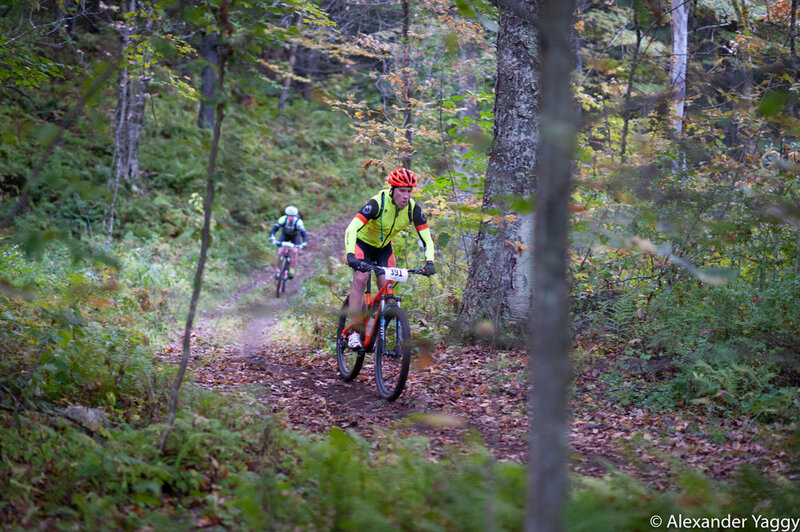 Ride a mountain bike 50 miles through the Vermont mountains and farms. “Alex, you have to do it, “ he said. And I did it. It was the hardest physical event I’d ever done and I swore at the finish line I’d never do it again. And then I did it again the next year in the freezing rain and again the next. 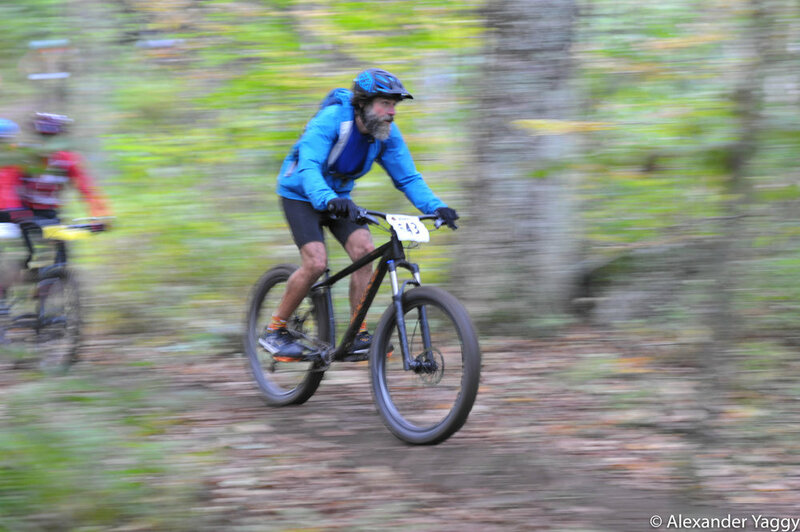 The Vermont 50 has been a fall highlight since 1993. It is a very unique event. 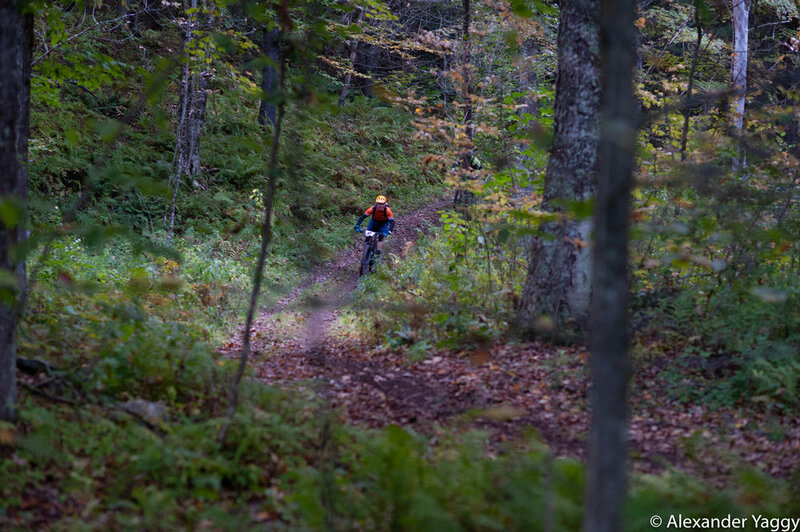 A 50 mile loop through the Vermont countryside traversing only private land and a small sliver of public roadways. 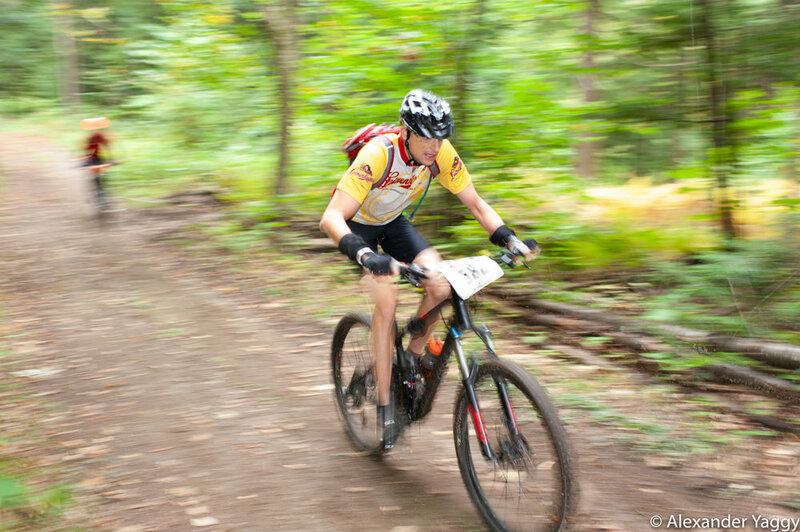 You can ride or run these trails once a year. 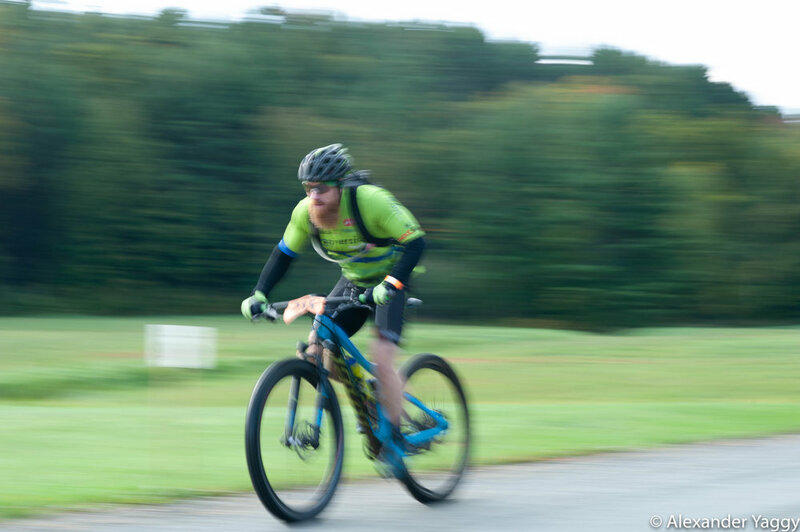 Proceeds help fund Vermont Adaptive Ski & Sports. It is also an extremely fun event (unless it’s forty degrees and raining, then it’s just an epic event). 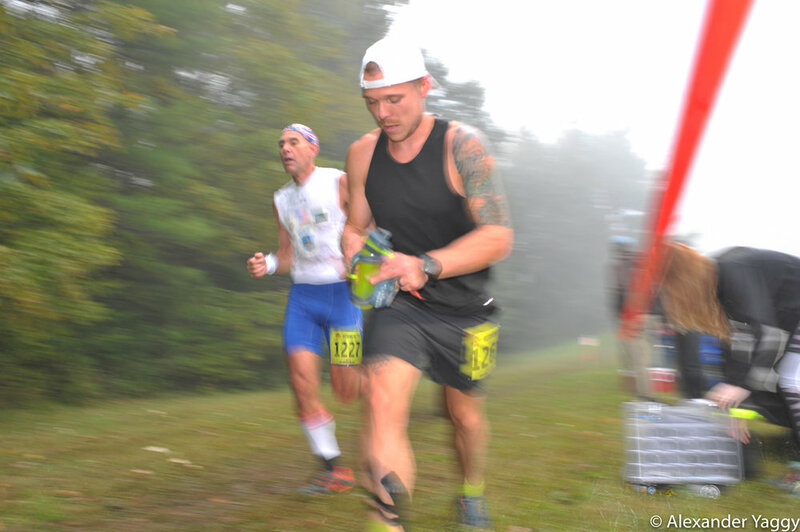 The race begins at Ascutney Mountain in central Vermont when the sun is just rising and the first few miles are guided by flashlights. 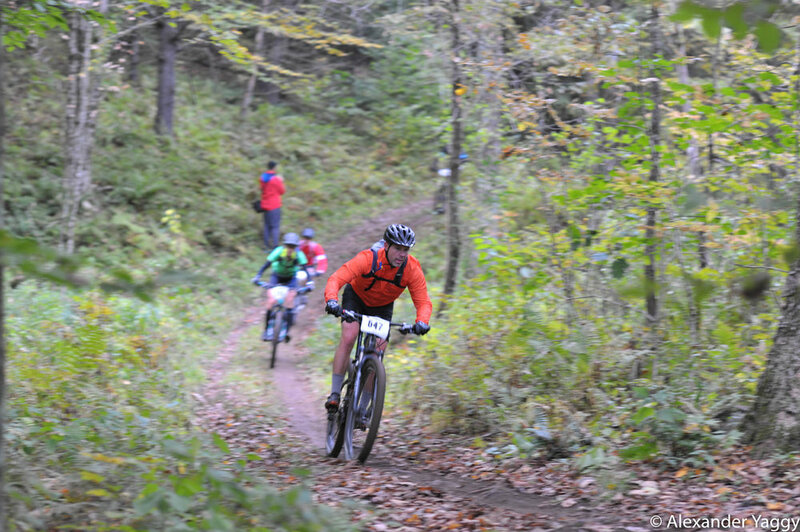 After a fast start downhill on pavement, the course winds uphill and into the woods, through fire roads, single-track trails, and across green fields. It’s fantastic ride, and as I pulled into the parking lot last week I regretted not signing up myself. But I’ve also always wanted to shoot photos of it too. Coming off the bridge it’s a quick traverse across some sand into a feeding area, but for the leaders, they don’t stop — it’s not called a race, but with a timer, it’s a race. Coming about 12 miles into the ride is Skunks Hollow, the third rest stop. A quick descent feeds into a bridge. 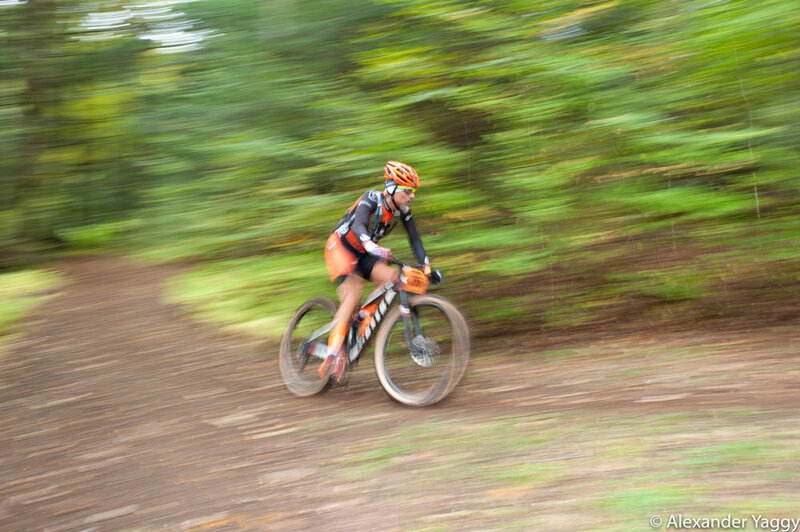 The ground is sometimes a little wet, with slick rocks, damp and slippery leaves, and a few hundred cyclists right behind you. 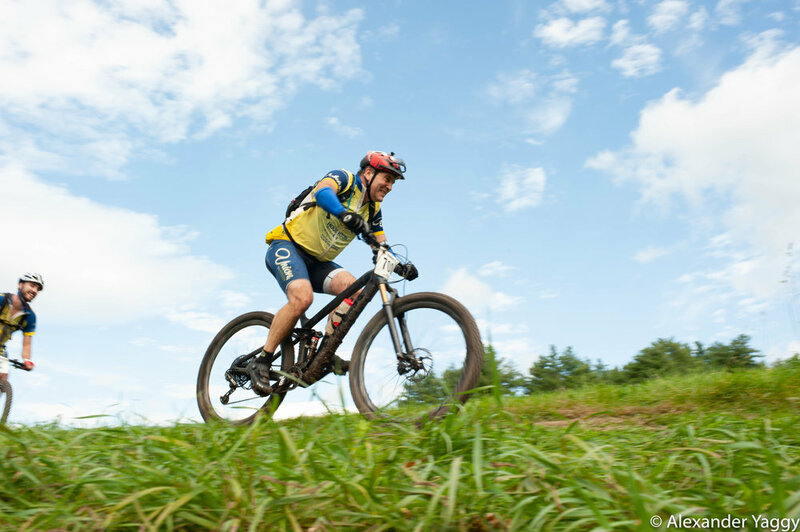 Riding downhill at pace keeps your attention, allowing for little relaxation as the constant threat of obstacles focuses the mind and your arms ache from leaning on the brakes to maintain some control. The flats are a welcome transition, allowing one to drop your guard…which is always a bad idea. E comes in hot…and goes down hard after catching a root sideways. Equipment failure is a real risk. In 2009, it rained virtually all day and by the end, the mud had been so beaten up, it would cake to wheels and gears and chains. At one point while I was riding I had to just pick up the bike and carry it for a few hundred feet because it was just impassable. The grit was so abrasive, that with about five miles left to go, I discovered - while descending - my brakes had been completely worn down. 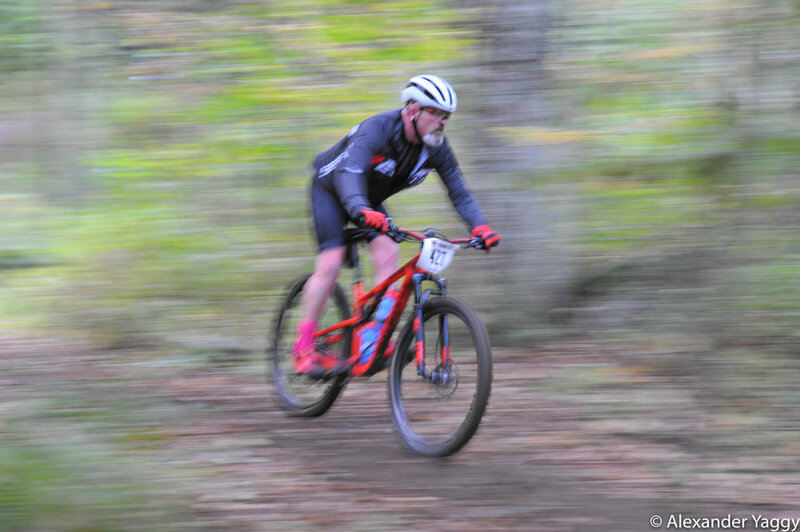 With a Flinstone like stop, I narrowly avoided a barn door and had to walk the rest of the downhills for the remainder of the race. At the point I was taking these photos, a similar cursing occurred as my camera, which has never failed me, failed. I lost photos. The shutter froze. and at 7.30 am on a damp Sunday morning in Vermont, I was cursing my fate to the electronic game wardens that control us now. But a hard reset and I was back in action. 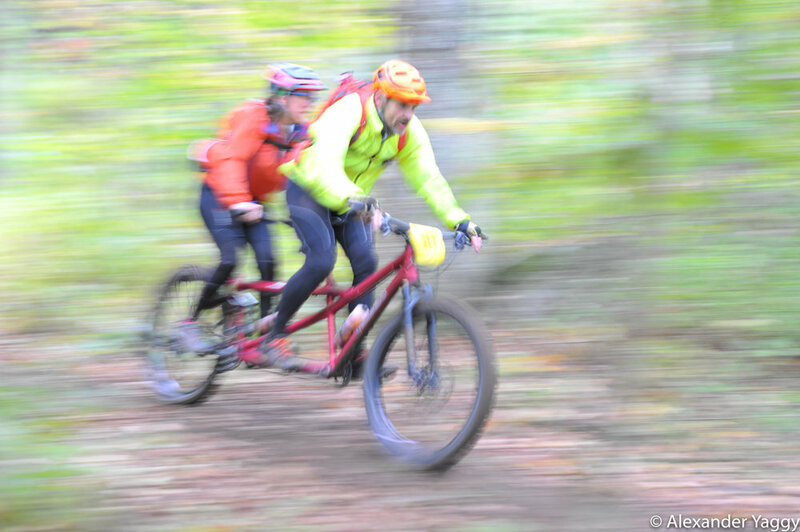 Bikes are great for covering long distances and quick going downhill. 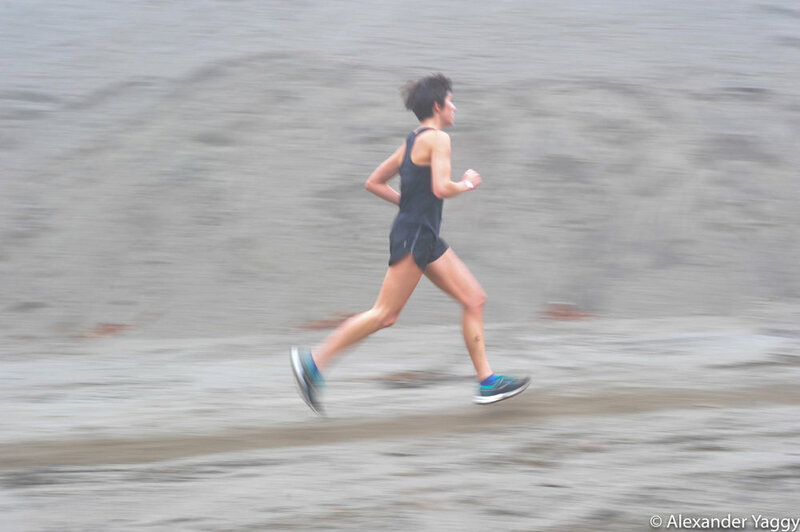 But when you’re armed with two wheels on a carbon frame designed to very high standards, it’s humbling when a runner passes you on two very old fashioned feet. 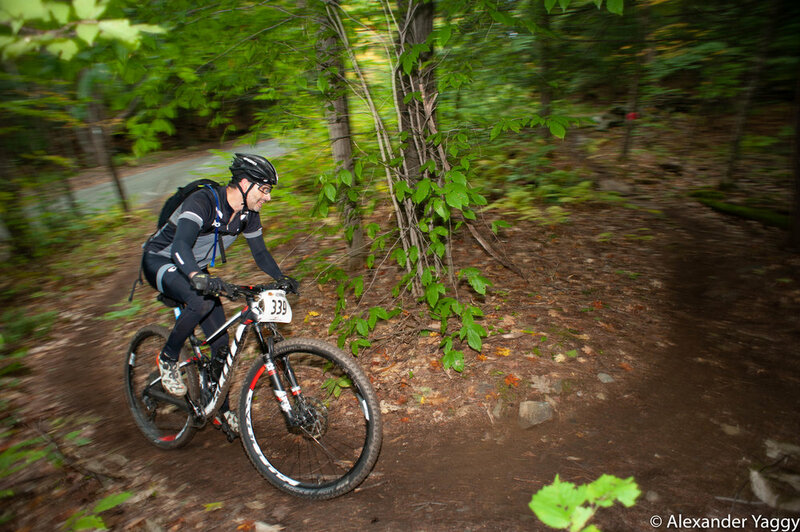 Emerging from higher ground, dropping down into a meadow into the Greenall’s feed station at mile 31. 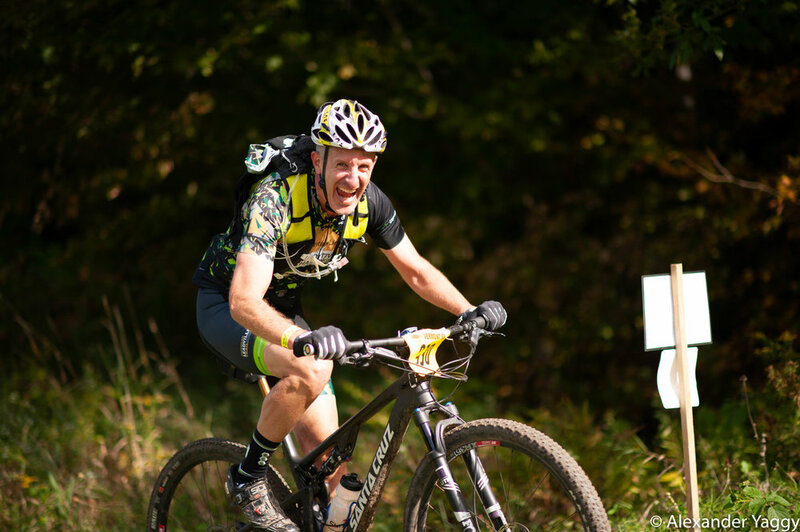 Part of what makes the event so special is that not only are you racing through meadows and forested trails, you’re also racing through the front yards of homeowners who have volunteered their land. A quick rest on the handlebars on a hundred yards of a gravel road and the first sunshine of the day. Checking on the competition’s progress…because while everyone is all smiles…it’s still a race. Rolling into the feeding station. PBJ, hot ramen, water, M&Ms. You’ve expended so much energy and still have twenty miles to go, everything is welcome. One thing made abundantly clear by the organizers is that all of this is on private land. No wandering. No parking. No trash. I asked at the station if I could journey into the woods and was granted the go ahead. One aspect of the event is how damn happy everyone is, and how varied the ages are. At 47, I’d be average here. The terrain is varied, but much of it is like these fire roads. 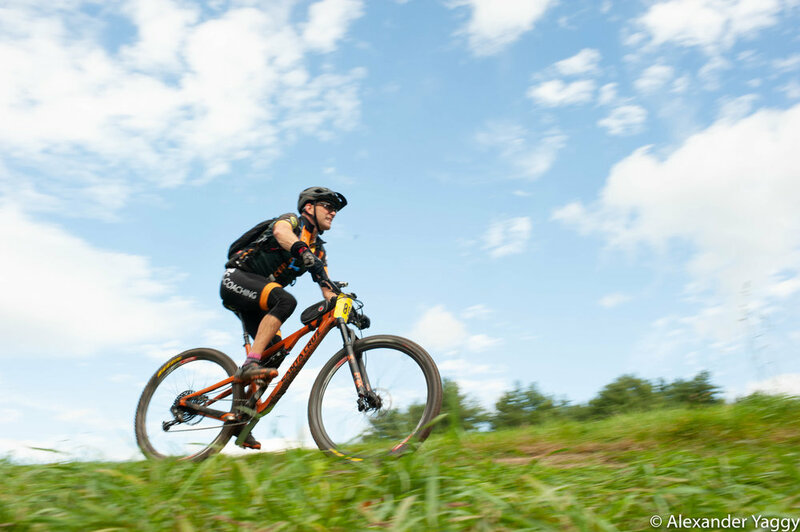 But don’t be fooled, certain technical sections can be brutal and are in the back half of the ride when cyclists are already worn out. 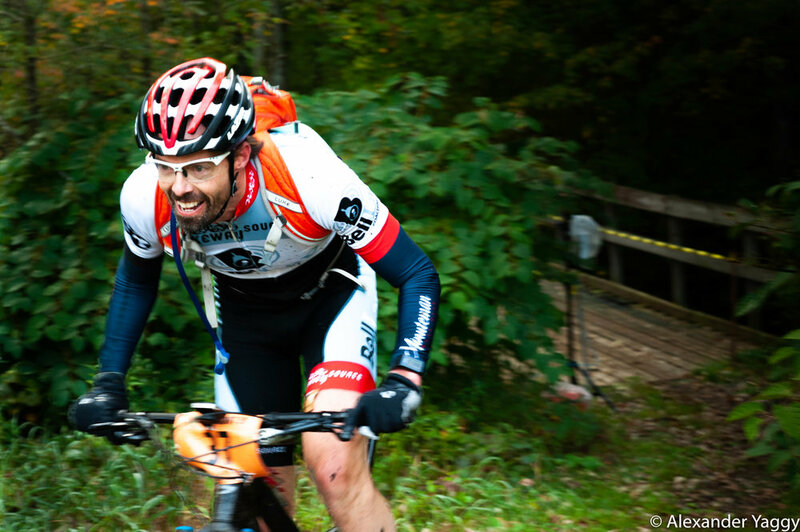 500 riders were ahead of me and I still took branches to the face. Stone walls, barns, fields, fall foliage. Yup, it’s all here. 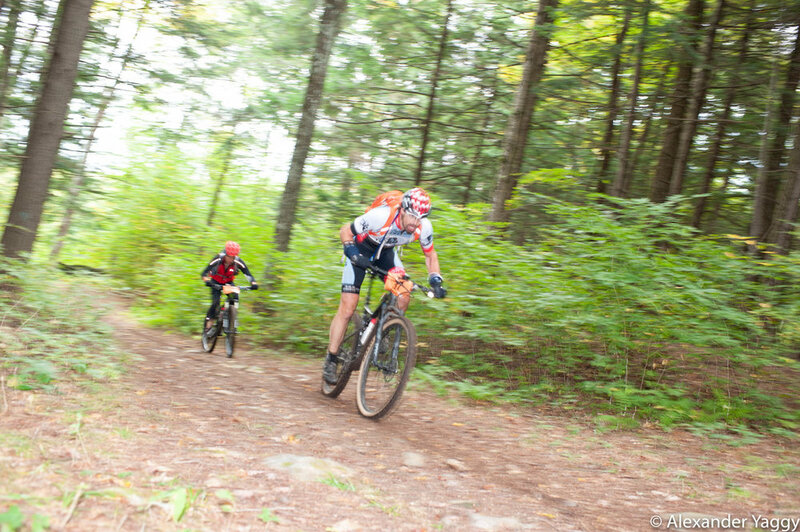 Every uphill is an opportunity to gain as this gentleman dusts some younger riders. These guys have legit skills and patience with each other. Driving around towards the finish I found a road crossing and waited for the racers. I stood in a hole, I stood in a creek, and I climbed up in a tree for while. One out of three people said “thanks!” for taking their photos and almost everyone still had a huge smile 45 miles in. I don’t know if he’s smiling because he’s enjoying the ride or because a gnome just popped out of a hole and took his photo. All good things must come to an end. After fifty miles of dirt, mud, ricks, trees, and legs beat to hell, the course ends on the rolling grass of an old ski resort. From a ways out you can begin to hear the band playing and the announcer. As you get closer, the elation of knowing you’re going to make it is a wonderful high. For so many, crossing that line was a great accomplishment. As a spectator I envied the deep, truly well-earned and genuine smiles of the participants as they crossed the line, hugged their fellow riders and runners, collected their medal, and collapsed to the ground, stood in line for the buffet, and took a drink of a nice cold beer - all in varying order. These guys blew a whistle for the entire race. The man who introduced me to this adventure celebrates the final few yards. 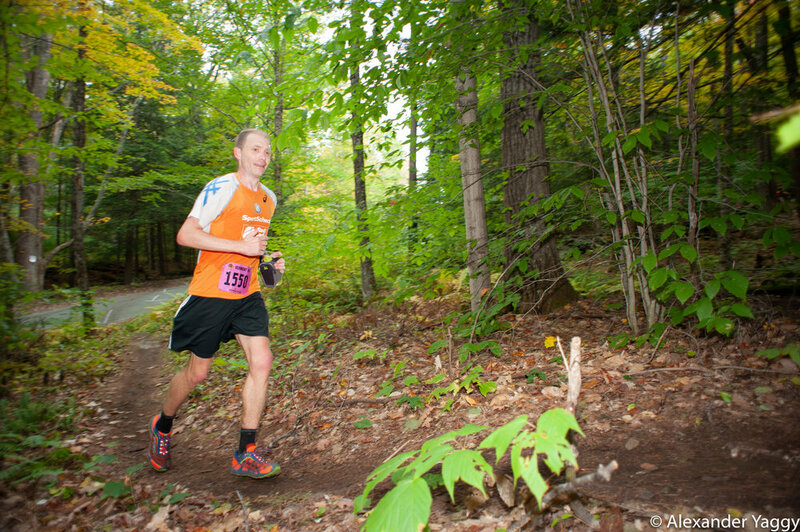 M rebounded from a dawn mechanical failure to crossing the line in his 22nd running of the VT 50. This group waited for each other at the rise so they could cross together. Many of you tolerated a flash in the face or were surprised by me hiding in the trees. Below are more photos that did not make the final piece above.